COMMENT either by recommending another great family day out that you want to tell other families about OR by tagging someone in that you’d like to take with. Enter via the website (below), on Facebook or on Instagram. 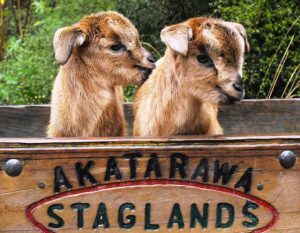 Like or follow ‘Kids On Board NZ’ and ‘Staglands Wildlife Reserve’ on Facebook / Instagram to receive updates on other promotions and events for families this summer (not mandatory but will earn you an extra entry to this competition). This competition is running from Sunday 4th December to Wednesday 7th December at 10pm. Vouchers can not be redeemed for cash and the expiry date can not be changed. For other general T&C please see here. Gotta love all that you can see at Otari Bush. Plus, it’s free! Definitely a leisurely trip to Scorching Bay, with a blanket, a book and a picnic basket.. The aquarium at Island Bay is also a favourite with my kids. Always love a day at the beach! Te Ahumairangi Hill walk. Lovely walk, beautiful views all around and great picnic spot! Plimmerton Beach and park – Close together and good cafes in Plimmerton too. Hi Jenny, You have won this competition! Well done and I’ll email you with details of the family pass. Thanks for entering!